Now, XMind has been accepted by more than 2 millions users. We also get a high customer reputation. And we're looking for local partners worldwide to work with us for attracting more users and offering better customer service. We're willing to work with Software Resellers, System Integrators, Consultancies, Training Institutions and other related businesses. Of course, we will offer you the good return. And currently, XMind has three different levels of partners. Please read more details below. Authorized partner does not require any special terms or contracts. (It's a easy way to start selling and promoting XMind as part of your portfolio). You should have an understanding of XMind and how it can be applied under different circumstances . You will get a good commission. 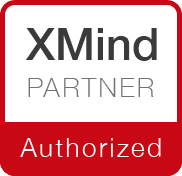 Certified Platinum Partner is only available to the partner that collaborates closely with XMind in the areas of joint business development. You will work with us as a strategic partner, make a significant commitment to sales efforts, be prepared to dedicate time to train your salesforce as well as contribute to the growth of the channel partnerships. In return, you will get exclusive benefits of the highest commission. All application will be reviewed carefully. Once your application is approved, we will email you full instructions on how to get started. 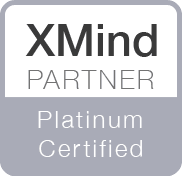 Compuwave, the XMind Certified Platinum Partner. They offer local sales service for individuals and companies at DACH(Germany/Austria/Switzerland), Benelux(Belgium/Netherlands/Luxemburg), Nordic(Norway/Sweden/Finland), UK and France. Actsmind, the XMind Certified Platinum Partner in Taiwan. People can contact them for sales, support and cooperation service. Biggerplate.com, is the global home of mind mapping, providing mind map software, training, and resources to individuals and companies around the world, with particular focus on the UK, and USA.